British scholar (1766-1834). 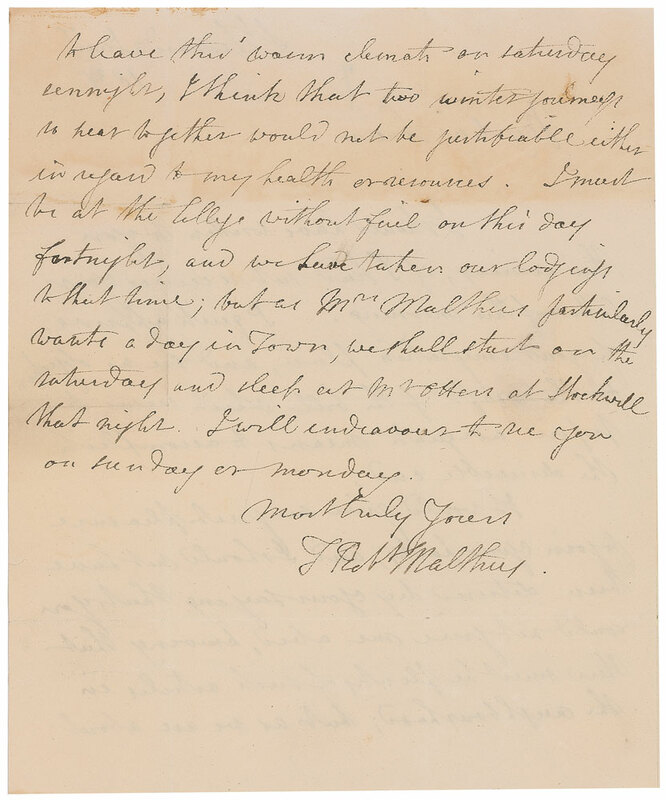 Autograph letter signed to Nassau William Senior. St Leonards. Quarto, 18.7 x 22.7 cm, 2 pages + integral address leaf, preserved in a cloth box. 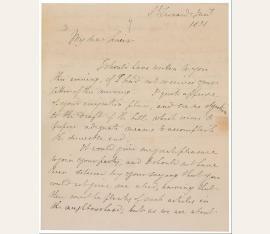 Unpublished letter from Malthus from St Leonards, where he was convalescing, to the economist Nassau William Senior (1790-1864) approving of Senior’s emigration plan which he published in 1831 anonymously – “I quite approve of your emigration plan, and see no objection to the draft of the bill which seems to propose adequate means to accomplish the desireable end”. 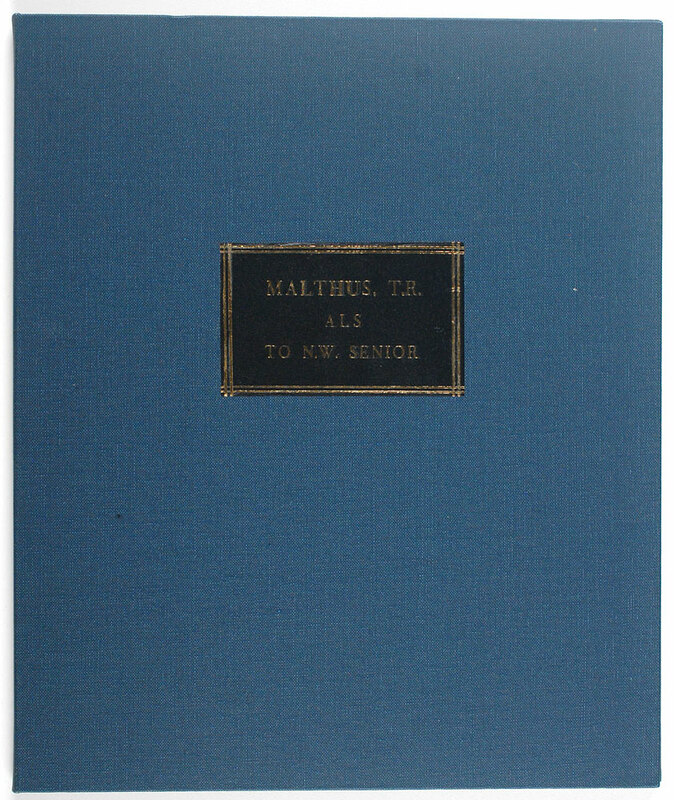 Malthus refers to an upcoming visit to town with Mrs Malthus and a stay with his friend William Otter. 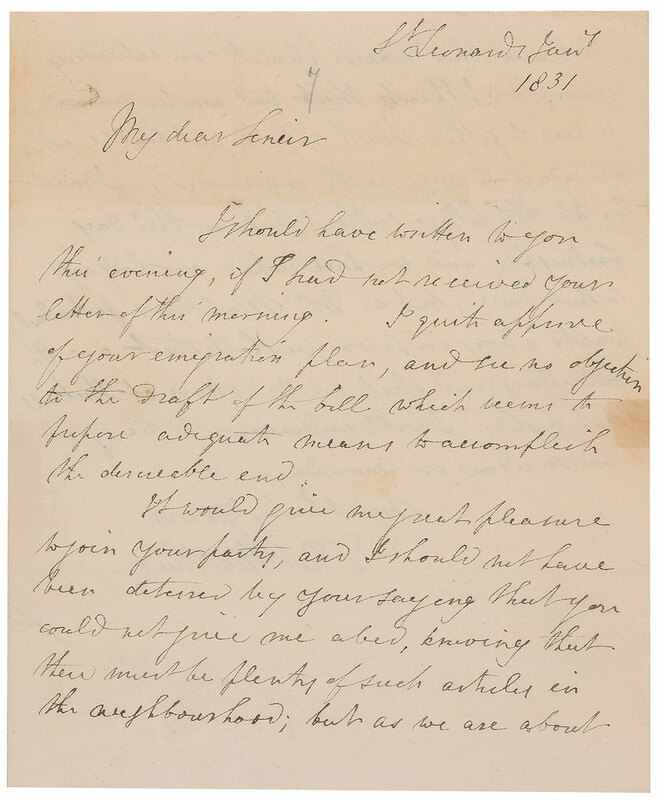 [page 1] St Leonards Jany 1831 My dear Senior I should have written to you this evening, if I had not received your letter of this morning. I quite approve of your emigration plan, and see no objection to the draft of the bill which seems to propose adequate means to accomplish the desireable end. It would give me great pleasure to join your party, and I should not have been deterred by your saying that you could not give me a bed, knowing that there must be plenty of such articles in the neighbourhood; but as we are about [page 2] to have this warm climate on Saturday sennight, I think that two winter journeys so near together would not be justifiable either in regard to my health or resources. I must be at the College without fail on this day fortnight, and we have taken our lodgings to that time; but as Mrs Malthus particularly wants a day on town, we shall start on the Saturday and sleep at Mr Otters at Stockwell that night. I will endeavour to see you on Sunday or Monday. most truly yours T.Robt Malthus. 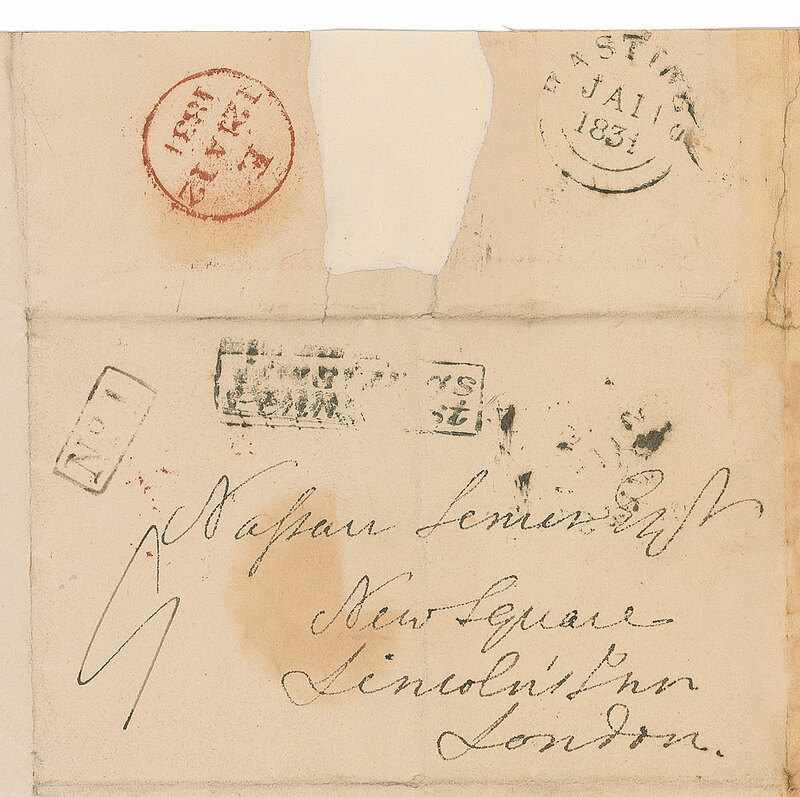 [address leaf] Nassau Senior Esq New Square Lincoln’s Inn London [with circular Hastings postal stamp in black ink dated Ja 11 1831 and two other postal marks, one ‘Hastings Penny Post’ in black ink, the other red].